I hope you're having a fab Easter weekend. 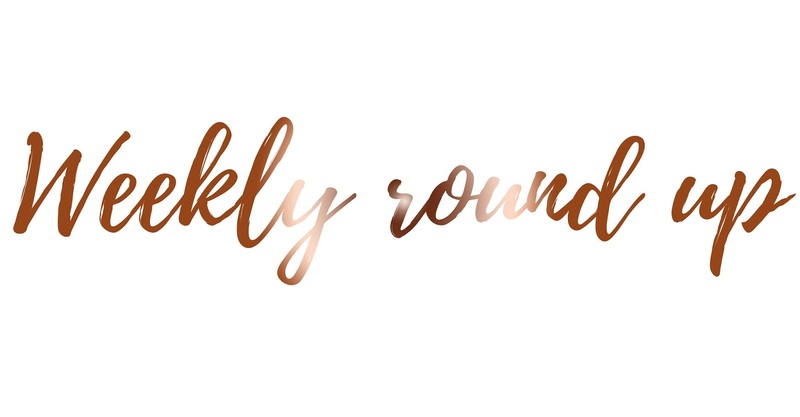 It's the Easter weekend weekly round up and I'd like to say I've enjoyed doing absolutely nothing this Easter weekend, but I haven't done "nothing", and it actually feels amazing to be able to say that I've actually done something in my two weeks off. I can't lie, I do love doing nothing. It feels great to be able to lay in bed and binge watch Netflix (currently watching 13 Reasons Why as I type this). But I do love getting things ticked off my to-do list. This week I have also spent time in the garden, something which I dread every single year when I go back out there when the sun is out and the brambles have taken over the garden yet again. However, not this year; I am being productive and I am tackling the garden until it's done. This week I have had two large bonfires. Burning absolutely everything that can possibly be burnt. Although I definitely stunk afterwards; it was definitely worth it. I couldn't be more happy with what I have got done so far. A productive week so far. Something I have definitely struggled with this week is working out. My plan was to work out four times a week but this week I haven't worked out at all. I don't know what's wrong with me; I do the first week easily of my workout plan and after that it all goes down hill; why does this happen? Does anyone know how to stay motivated whilst working out? What keeps you going? I'd love to know because I am struggling like heck right now. Maybe next week will be a new week and I can try all over again. I hope you're all having a fabulous Easter Sunday, let me know what Easter eggs you received.